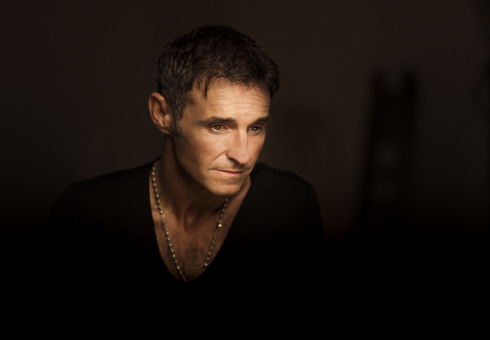 Marti Pellow will headline the first of this year's South Tyneside Festival Sunday Concerts! The former Wet Wet Wet lead singer will be performing at this free open-air concert on Sunday 14 July at Bents Park, on South Shields' beautiful seafront. Marti Pellow is undoubtedly one of Britain's iconic music stars. Having achieved the highest accolades with one of the most successful bands in UK pop history, he is now achieving that rare position of a highly successful career as both a solo artist and as a leading musical theatre star. We're delighted to have him headlining the first of our 4 festival concerts this summer! Support is from The Good Souls, a great local band who perform songs from the likes of The Killers, Oasis, Police, Bowie, Beatles and many more. It's a FREE concert to enjoy, but why not upgrade to a Priority Plus ticket. A Priority Plus ticket allows earlier access into the event to pick the best spot, along with access to a dedicated bar area and toilets. If you would prefer to arrive later your ticket will still provide you with access, however your viewing position may be more towards the rear of the crowd. Gates open approx. 12 noon for Priority Plus ticket holders and approx. 12.45pm for free entry for which no tickets are required. You are welcome to bring your own food and drink, but there will be plenty of food outlets and bars in the park too. You can help us reduce the amount of waste at concerts by not bringing glass bottles into the park. We will be carrying out bag searches for people entering the park. To help speed up the process visitors are encouraged to limit the number of bags they bring, and should leave any sharp instruments at home. These events are brought to you by South Tyneside Council. With thanks to our sponsors Port of Tyne, Colmans Seafood Temple, South Tyneside College, The Sea Hotel and to the support of BBC Newcastle.